The cities of Chula Vista and San Diego will take part in programs announced by the White House Monday to address climate change, transportation, public safety and improved public services. According to the White House, $80 million in federal funds will be spent on programs in its Smart Cities Initiative. “If we can re-conceive of our government so that the interactions and the interplay between private sector, nonprofits and government are opened up, and we use technology, data, social media in order to join forces around problems, then there’s no problem that we face in this country that is not soluble,” President Barack Obama said in a statement. The city of Chula Vista will take part in a U.S. Department of Energy program called the “Better Communities Alliance,” which will provide support in tackling energy and climate challenges. Chula Vista is one of more than 30 municipalities and counties taking part in the program, along with more than 25 community and trade organizations. The program is a one-stop shop for cities and counties to plug into DOE and AmeriCorps resources. In California, the cities of Huntington Beach and San Francisco, and counties of Los Angeles and Sonoma, will be part of the alliance. 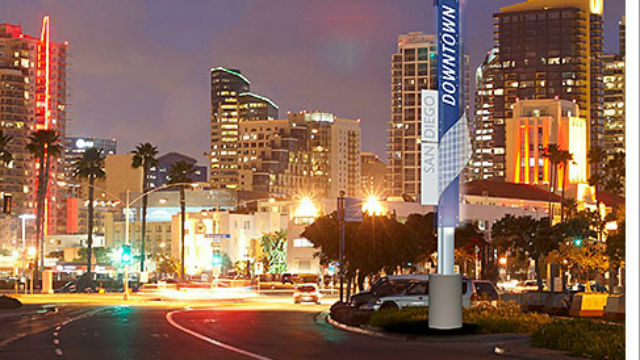 The city of San Diego is among more than 20 cities launching an initiative to ensure responsible and equitable deployment of smart city technologies, according to the White House. The effort, led by the city of New York, aims to provide a common framework to help governments develop and expand policies and procedures related to the internet of things — which refers to network connectivity of appliances and other common objects. The program goals also include ensuring openness and transparency regarding the use of public space or assets for smart city technologies, and advancing public dialogue about how government, the private sector and academia can collaborate to ensure the technologies are used in a way that maximizes public benefit. The cities of Los Angeles, Palo Alto and San Francisco are also taking part in the initiative.